Menulux Boss is a mobile management app that allows you to manage your business on iPhone and Android phones. Download now from the App Store and Google Play. Menulux Boss lets you manage products, sales, inventory and current accounts, and you can access reports of your branches thanks to mobile cloud platform. Get real time end of day, register, sales and inventory reports instantly. Improve your business situation by analyzing your sales on visual analytics. Manage your restaurant POS systems, get the end of day, sales and inventory reports instantly! 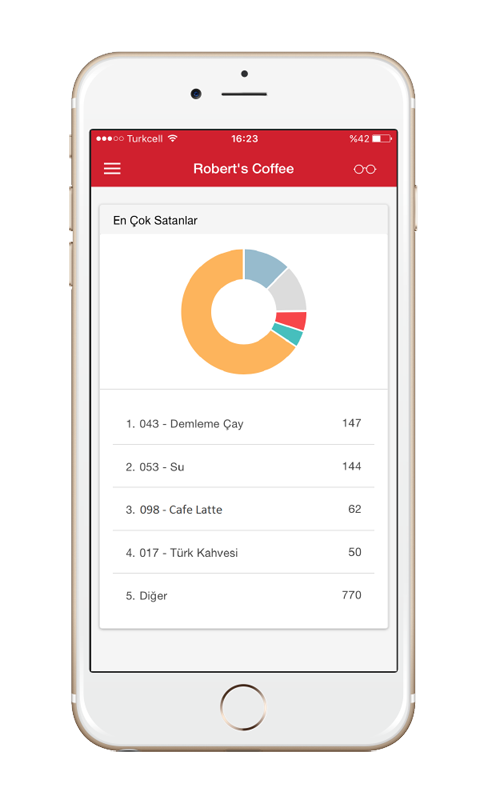 Reach all of your end of day, checkout, sales, current account and inventory reports on smartphones. Compare your periodical sales with visual analysis. Menulux Boss enables you to reach all of the sales that are processed by your mobile POS system in real-time via cloud platform. You can instantly view the reports such as end of day, register, sales, stock and current accounts. Use periodic comparisons to gain a clearer perspective of how you’re doing. Menulux mobile cloud platform allows you to reach visual graphics of daily, weekly, monthly and yearly sales of your periodicals within seconds. By comparing your periodic sales, you can analyze the current state of your business and grow your business by making the right decisions. Understand your business. See everything from best-selling items to top-performing staff. Review the summary reports and visual analysis of the best-selling products, end of day, register and stock status. Know which items are dead weight, and which are worth their weight in gold. Display your top-selling products during the day in your business summary, and increase sales by organizing campaigns and promotions on the products you are targeting. 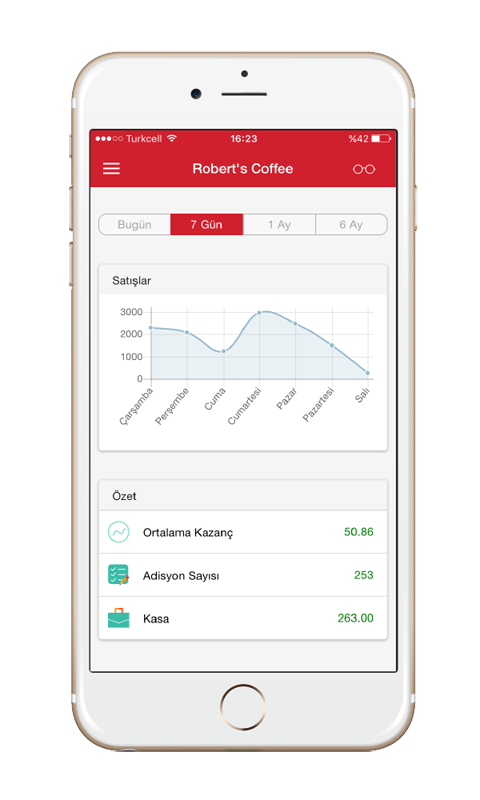 Access to summary of your sales and turnover information, also payment details on cash, foreign exchange, credit card, tickets, etc. Inspect your stock movements, keep track of your products, semi-finished and raw material inventories, and validate them with periodic counts. Start trying the Menulux Boss app by downloading from the iPhone App Store and Google Play Store.